Rabbits are very similar to guinea pigs because they are also sociable and enjoy the presence of their company especially if his owner is not around in the entire day or they are kept outside the household with larger space to play. If two male rabbits stay together inside a cage, often they will fight especially when they are sexually mature already but rest assured, they will enjoy the company of each other. On the other hand, if two female rabbits stay together, you will have no problem if you will introduce them at the start of their early weeks, but carefully observe for any conflicts when you will introduce them in their older age. 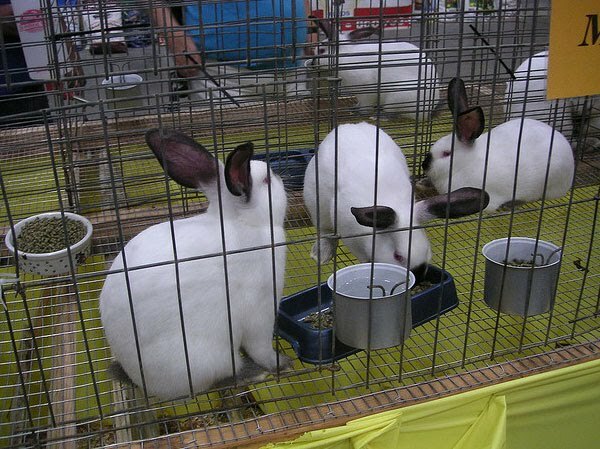 It is not advisable to keep the male and female rabbit inside the cage since the sexual arousal of the male rabbit last for how many days that might injure the female rabbit. So it is a lot better to separate the two sexes all the time. Rabbits can survive in both indoors and outdoors for as long as you keep them in cages with several rooms, accessible water and food resources, play toys and cage compartments. Unlike other pet mammals, rabbits like guinea pigs require more sensitive care. Also, the materials used in caring rabbits are quite expensive like their personalized hutches, hutches covers and rabbit runs. And, they can live for about 5-12 years and they can grow as big as your household cats. Just always put in mind that before you plan to select the rabbit variety, always consider first the availability of rabbit hutches and other related equipments before buying a rabbit. Make sure that the hutch is already available before you bring the rabbit home. If your choice is to keep the rabbit inside your home, a structured environment is very important if you plan to place the rabbit out of their hutches inside their home since most of them does not like loud noises especially when they are resting. But if you are planning to keep them inside their hutches, there are so many commercially prepared indoor hutches with stylish furnishing just right for your rabbit’s needs. Deciding to keep them inside your house is a complicated choice because you need to secure their environment, it should be free from dangers like cable wires that might be chewed by your pet rabbit because we can’t get rid of the fact that rabbits like to chew specially objects with rubber or other objects made up of flexible substance. When you are in a pet store looking for a pet rabbit, inspect first the situation of the rabbit’s cage. A dirty cage means an increased risk of having a sick pet so better find another pet store. The cage must not be overcrowded with rabbits because it has a tendency of injuring their fellow rabbits with their powerful legs used in jumping. The water and food container must be clean also. Lastly, the rabbit should look healthy like having a firm and soft body, bright eyes with no discharges of any kind, clean white coat, and alert and should be free from other unusual observations such as sticky eyes, dirty bottom, sneezing and sleepiness. They are also ideally at least 6-8 weeks of age before buying them. David Neil Warren enjoys writing for The Rabbit Hutch Shop which sells hamster cages and hamster accessories as well as a host of additional products.